Three years ago when we first got our chickens, I would sit out with them and think, "How cool would it be if we had a bunch of animals that all got along and I could hang out with all of them at the same time?" I had visions of chickens on my lap and a dog at my side. 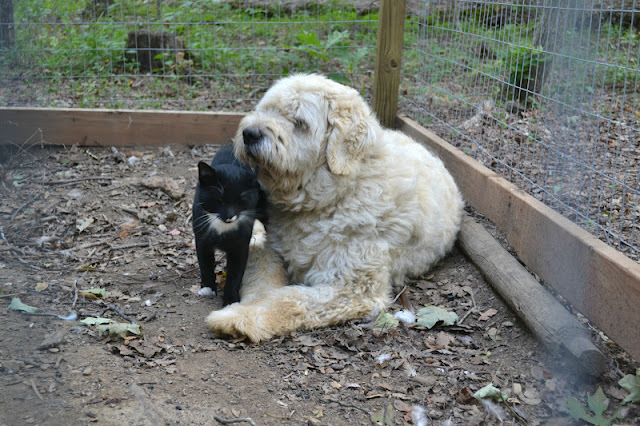 I love that my vision of peaceful animal cohabitation is now my reality. 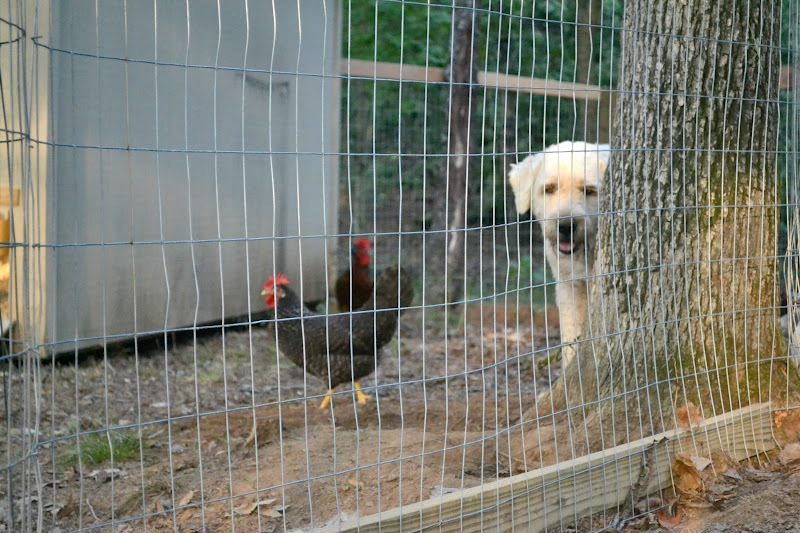 When we bring Duchess out to play and let the chickens free range, Sylvester comes over to hang out. He can usually be found sprawled out in the middle of them all, usually close to Duchie. He really seems to be in love with her. He follows me down to the coop in the mornings when I let the chickens out and gives Duchess a good full-body pet. Duchie seems pretty indifferent to his attention, but I think she'll start to like her buddy any day now. Sylvester couldn't win Baby over, so I guess he's trying to work his magic on Duchie now. What a cute post! 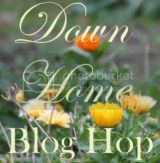 I would be honored if you linked it up to our blog hop party. I think readers will fall in love with your animals. love this. All of our critters (chickens, dogs, cats and steers) mingle peacefully together too! It's great. What a wonderful post and photos! I never thought my border collies would accept the chickens, but they have! It's funny to watch them all come running for treats (dogs and chickens)!